Complete notes for AS Chemistry, AS Physics and AS Biology based on the 2016 syllabus are available now! Notes for A2 Chemistry, A2 Physics and A2 Biology based on the 2016 syllabus will be available here in June 2016. They will not be available anytime before June 2016, due to the fact that I am busy with written examinations, practical examinations, assignments and oral presentations in university. Sorry about that. Starting from year 2016 onwards, there are major changes to the syllabus. The new syllabus introduces several new topics and removes many existing topics. Therefore, if your are studying the 2016 syllabus, the notes for A2 Chemistry, A2 Physics and A2 Biology based on the 2015 syllabus will not be sufficient for you, although you can still use them for some topics that remain unchanged. The 2016 syllabus which you can obtain from the Cambridge International Examinations (CIE) website shows all the changes from the 2015 syllabus. 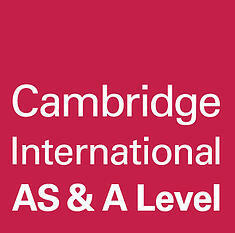 If you are looking for complete Cambridge International AS and A Level revision notes, you have come to the right place. Here are all the notes that I use when doing revision for examinations. I do not use any other notes. I got 4A for my AS Level in October 2013 and 4A* for my A Level in May 2014. These notes are almost entirely complete and correct, but there is no 100% guarantee. Please share the notes with your friends. Notes for any other subjects are not available. To download the notes, please open the links above, then click Download. It is recommended that you use fast and stable internet connection when downloading because the files are quite large (between 30MB and 80MB). The downloaded file is in .zip format. To open the .zip file, you need to use WinRAR or 7-Zip for Windows; iZip for iOS; ZArchiver for Android. The .zip file contains all the notes for the subject. The notes may be in .pdf, .doc, .ppt or .pptx format. To open the .pdf file, you need to use Adobe Reader. To open the .doc file, you need to use Microsoft Word. To open the .ppt or .pptx file, you need to use Microsoft PowerPoint.